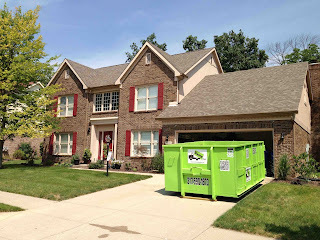 We get dozens of dumpster orders every day from across Indianapolis and the surrounding area. This day was however was unique! When a student of MSD of Decatur Township asked if we had a dumpster we could provide for their school project, we were immediately curious. Upon delivering the dumpster we quickly realized this was to help with a REALLY cool project and an equally cool young woman. We love helping out people in the greater Indianapolis community and we were very happy we could play even a small part in Abby realizing her vision for this tiny house. “Every student at my high school looks forward to their senior year when we get to create our own “expedition”; a semester-long curriculum based off of one topic of their choosing. Everything from field trips and internships to book reports and essays is designed and arranged by the students. 9th, 10th, and 11th graders focus on a different expedition chosen and lead by a facilitator, but when you’re a senior, it is your chance to dive into a subject of your choosing and become your own facilitator. For my expedition, I chose to explore the natural world and demonstrate sustainability to the public. I have spent a long time learning about environmental issues and becoming a leader in my school in that aspect, so it was only natural to keep following my passion. For my final project, I decided to take on building a tiny house. In late August, I bought a run-down camper trailer that was twice as old as me! 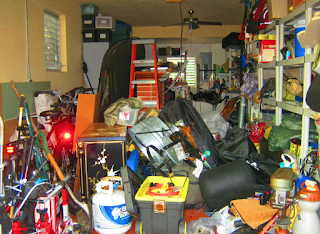 The initial thinking was to renovate this 25-foot monster into a livable space. I quickly began stripping the camper; taking out furniture, appliances, and cabinets. The deeper I dug, the more structural problems I found. Finally, in January, I decided to start over and build a proper house from the trailer frame. It was a good choice, but the biggest issue in doing this was disposing of the enormous piles of materials that could not be salvaged from the camper; that is when Bin There Dump That comes in. I was able to get a sponsorship, get rid of the debris from the camper, and make room for all of the construction materials! Help Abby out by donating!